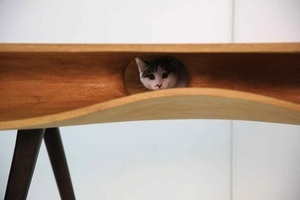 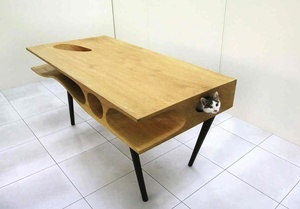 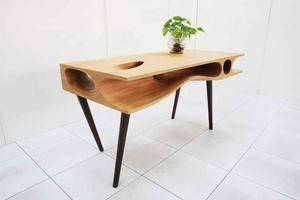 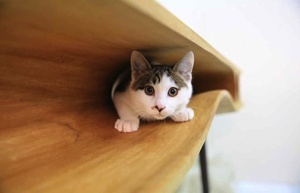 Behold CATable – created by Ruan Hao for Hangzhou and Hong Kong-based architecture firm LYCS – a wooden table honeycombed with holes and passages where cats can lounge and disport themselves while you work. 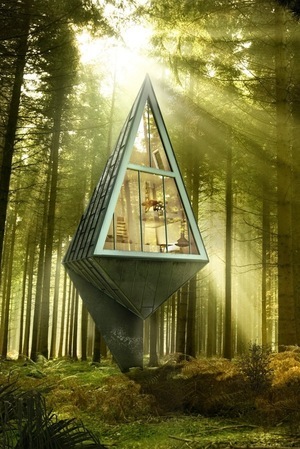 Fictional Floorplans Tree House Extraordinary Interiors Where Is Design? 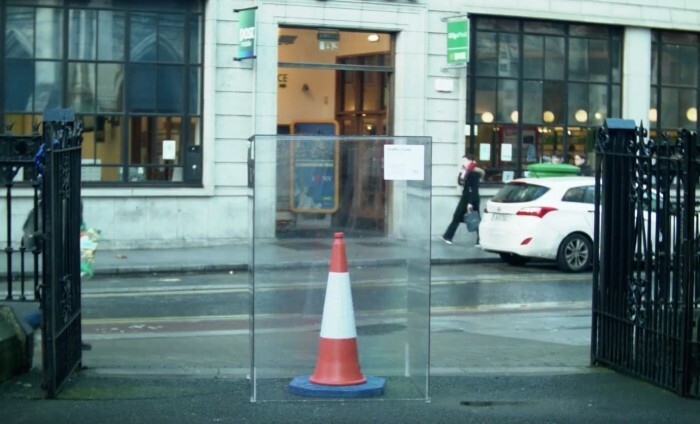 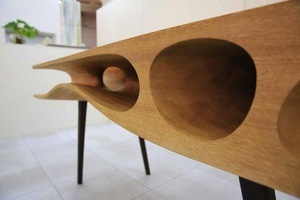 Posted in Design and tagged design, table at 7:42 am on April 23, 2014 by Broadsheet.